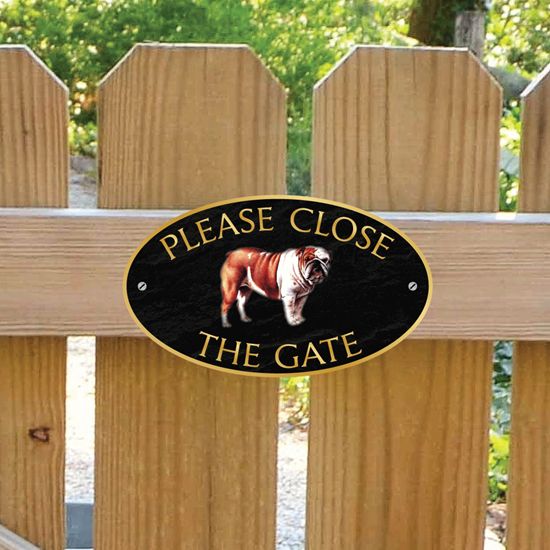 The sign is a printed stone effect in a choice of colours and has an image of a BRITISH BULL DOG displayed on it with the text PLEASE CLOSE THE GATE. PLEASE CLOSE THE GATE SIGN ..Shaped aluminium composite metal sign with two fixing holes. Choice of stone effect print and sizes. 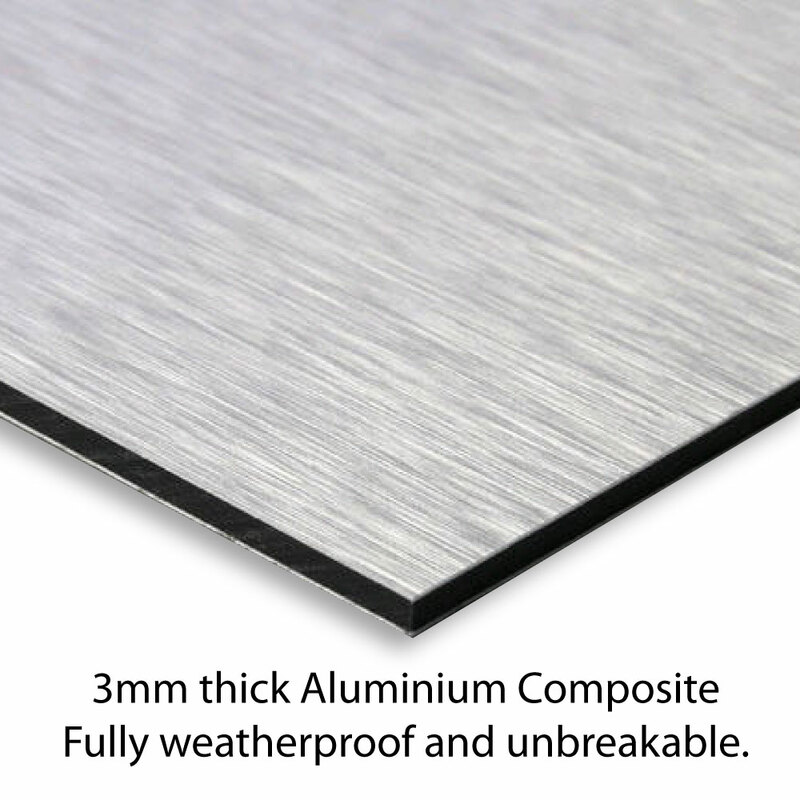 Fully Weatherproof and unbreakable, No maintenance required - No fading or weathering. IF YOU ARE UNSURE ABOUT THE COLOUR OR THE MATERIAL PLEASE CONTACT US FOR A SAMPLE. 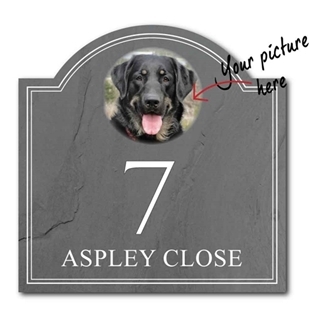 This personalised pet photo sign, with your pets image.